In the real estate business we occasionally run across a situation where a seller needs to sell their house and get the profits from it before they can buy a new house. In a perfect world a Realtor can set it up so that the seller can close on their current house and purchase their new house in back to back closings. I have done this several times and have learned form my experiences. It is best if you use one title company to do both closings. This way you are not running across town to get from closing 1 to closing 2 title companies. Also when money from the first closing has to get to the second closing title company, the money must be wired which could take hours. The logistics are critical to get the job done. I recently had a transaction where 3 or 4 houses were involved. Each owner had to get the money from their current house in order to purchase their new house. Hence the domino theory. My listing was the first house to close and everything depended on it to start the dominoes falling. My listing was a very nice ranch in Pike Township. The sellers had taken excellent care of it and it had great amenities. The sellers were some of the nicest clients I have ever had. The house had a good offer on it in 55 days. We negotiated a closing date a couple months out so that my sellers could find another house to buy although we had already been looking. We found a new house and made an offer. After negotiations were done which included having back to back closings at the same title company we had two dominoes in a row. The sellers of the house that my buyers were purchasing were in the same situation. They needed the profit from their house to buy the next one. They found a new house and were set to close on it the same day but not at the same title company. I am told that there was one house(domino) after that but did not verify. Everything was set. We all were ready to close July 10th. My sellers had already moved everything out of their house and it was being held by a moving company. They were living in a essentially bare house with 2 very small children which was very challenging. Their plan on closing day was to pick up what was left and put it in their car, do the 2 closings at the title company and meet the movers at their new house to unload their furniture. It just so happened that the owners of the house they were buying had the same idea and did the same thing. On the evening of July 9th I got a call from the buyers agent who had the buyer for my listing. She had bad news. The lender had checked the buyers credit that day and found out that the buyer had made a late payment. The closings were off. The dominoes were not going to fall in the morning. I was told that it could be a week to 10 days before the lender would allow a closing. They had to verify that the buyer did not owe any money where they made the late payment and get a credit re-score. I notified my seller. They were willing to wait. The sellers of the new home they were buying were also willing to wait. After massive communications with my sellers, the buyers agent, the listing agent of the house my buyers were going to buy and the lender of the first buyer, we all ended up in a holding pattern. Days turned into weeks and weeks into a month. 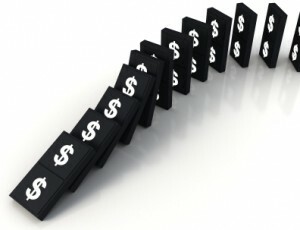 Patience was drawing thin and at any minute somebody might pull the plug and the dominoes would not fall. My sellers costs were adding up. They had to pay their lender a fee to extend the lock on their mortgage rate. They also had to pay the moving company to store their furniture. The lender was not communicating what was going on which left everyone very skeptical. There were two times during the month that the lender ok’ed the close and then canceled the day before. My seller and I communicated regularly. My main question to them was how badly did they want this new house. There answer was “very badly”. They were willing to wait. Another challenge came into play. My sellers daughter was starting school. The new school district would not allow her to attend unless the family was living in the school district or they could tell the school when the closing date was. After 4 weeks we had no answers. It meant that the daughter might have to attend the school in their present school district for a couple of days and then transfer to the new district once they closed on the new house. Not a good situation for a child just starting school. After the 5th week we finally got a verified closing date. It was going to be the day before school started in the new school district. At that point I questioned it. Was it really going to happen? On August 14th the dominoes started to fall. The lender showed up at the first closing. He acted like nothing out of the ordinary had happen. He even talked about the last two days before closing that he had spent on the golf course. My seller heard that and told me after the closing that he almost threw something at the lender. The lender also gave me a folder filled with information about their company and a stress ball. It was to late for a stress ball. What I wanted was a quart of whiskey. The amount of stress this lender had put everyone through was just unreal. 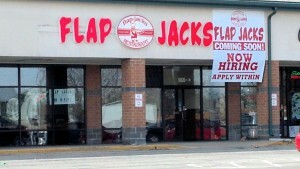 This lender will remain nameless but it is a lender that I have never referred business to and never will. I am a very patient person. Probably to patient at times for my clients. I did not lose my patience on this transaction but I did write a letter to the lenders branch manager and regional manager. I don’t think it did any good but you never know. No two transactions are the same in a Realtors life. In my 13 years as a Realtor I can’t remember a transaction that affected so many lives at one time and caused so much misery. Hopefully it will never happen again. 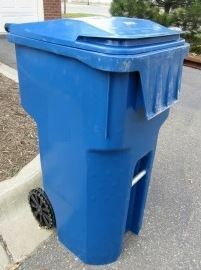 The Republic 96 Gallon Cart Transition Program is starting this summer. Your new cart will be delivered to your home between July 13 and September 31 2015. Here is a graph from Centralized Showing Solutions showing amount of showings in price ranges. 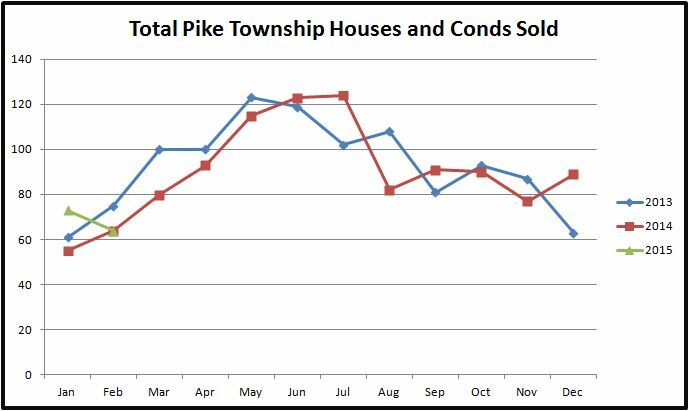 Centralized Showings makes appointments for Realtor showings for 80 percent of houses listed in Pike Township. 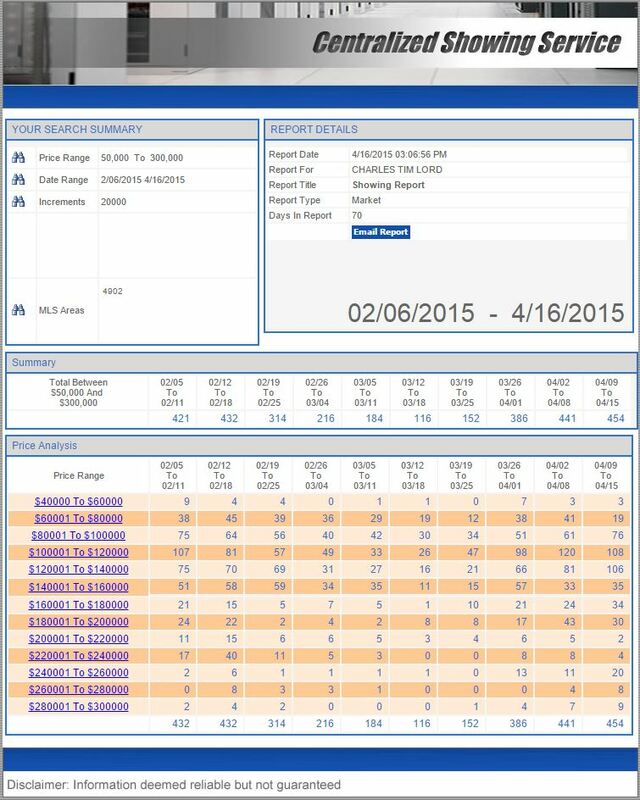 As you can see the showings between $60,000 and $160,000 are constant for the past 10 weeks. There was a peak about 10 weeks ago but things slowed down and now they are picking back up. I use charts like this to see if I am getting my share of showings on my listings. I read online this morning a survey that was conducted by ClosingCorp that two in three millennials (18 to 34 years old) who plan to own a home are unaware of closing costs. 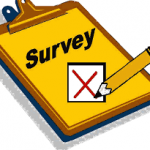 It also said that 34 percent of potential homeowners are “Not Very” or “Not At All” aware of closing costs. So…I thought I would try and explain closing costs if your were to buy or sell an average home in Pike Township for $125,000. Closing costs are all the costs associated with buying or selling a home. Here is a list of some types of closing costs that can be in a transaction. It does not cover all closing costs. Each transaction is different. Homeowners associations (HOA) usually have yearly fees. For the most part they are due in the beginning of the year. If the home was sold in the middle of the year, the seller would get a credit from the buyer. A fee charged by homeowner associations that are professionally managed and some that are self managed that covers the costs of paperwork involved in switching owners. Depending on how the transaction was negotiated, the seller could end up paying some of the buyers closing costs. There a lot of variables here. Some of them are 1)How motivated is the seller to sell 2)Sellers are more incline to pay some of the closing costs of the buyer the closer the buyer is to offering list price for the home 3)how good is the buyers agent in negotiating. Traditionally the seller pays the brokerage sales commission. If there were a listing agent’s brokerage and a buyers agent’s brokerage involved, the total commission is split between the two companies. If the listing agent is representing both seller and buyer then the total commission goes to the listing agents brokerage. Lenders require that the property be appraised. This is the fee that the appraiser charges the bank which gets passed on to the buyer. This is a fee charged by the lender for getting the buyers credit report. A lender fee paid to a tax service provider for information on the real estate property taxes. A lender fee for a document showing flood zone information. A lender fee paid to the service providing information on whether the property is in a flood zone. When your mortgage is due the 1st of the month you are actually paying for month before. 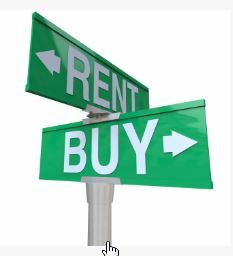 If you bought and closed on a home April 1st, your first payment would be payment would be June 1st but the lender makes you pay interest on the loan from April 1st to the end of the month. This is why most closings are at the end of the month. Less interest paid by buyer. Depending on the type of loan, this could be anywhere from 3 percent of the sell price of the house to 20 percent or more. The lender will require this to get the loan. Part of the monthly mortgage amount contains an escrow amount for county property taxes. It is usually 1/12 of the yearly amount. It is held by the lender who pays the property tax bill. At closing the lender wants to make sure they have enough escrowed for the first property tax bill. They may require the buyer to put money in escrow in advance. Part of the monthly mortgage amount contains an escrow amount for home insurance that the lender requires. It is usually 1/12 of the yearly amount. It is held by the lender who pays the insurance bill. At closing the lender wants to make sure they have enough escrowed for the first indurance bill. They may require the buyer to put money in escrow in advance. Title insurance offers financial protection against title problems that could not be found in the public records, are inadvertently missed in the title search process, or those that may arise from fraud or forgery. The title policy a lender requires only covers the lender’s interest in a property. Title insurance offers financial protection against title problems that could not be found in the public records, are inadvertently missed in the title search process, or those that may arise from fraud or forgery. Title company charge to research and process the property. Title company fee for the actual physical closing. This could be paid by the seller of buyer or split. Depends on how the transaction was negotiated. To pay the costs of hiring and employing staff in the area of enforcement of title insurance law. Title companies won’t deliver there own documents because of liability. The hire delivery services to deliver documents and pass the costs on. This is the document that an attorney prepares that when signed transfers the property to the new owner. Closing protection letter is essentially an agreement from a title insurance company to a lender that indemnifies the lender against any issues arising from a closing agent’s errors, fraud or negligence. Title company fee charged to pay off existing loans. Lender mortgages and lender notes are usually recorded. The county charges fees for recording which get passed on by the title company. If a home warranty was negotiated in the transaction it would be considered a closing cost. Disclosure – PLEASE NOTE – Lenders and title companies charge different amounts for the same services. It is best to shop around for a lender. They are required by federal law to give you a Good Faith Estimate of loan costs after you apply. Ask your Realtor what title company they recommend and why. A listing agent usually has preliminary title work done (for free) when they list a house. This insures that there won’t be any last minute surprises about the ability to transfer a property right before closing. If a title company does preliminary title work up front, chances are that the listing agent and seller will want to close at that title company although it can be negotiated. This is just an example and these are just estimated numbers. There could possibly be other charges to buyer and seller. For instance, if the buyer had a home inspection done and wanted something fixed and the seller agreed. The home inspection price to the buyer would be about $300. The repair costs the seller would pay for. * If the amount is over $10,000 then the buyer has to wire the funds to the title company. Pancakes are one of my favorites. Can’t wait until this place opens. It is located at 5035 W 71st in the Kroger Center. When you list your house in Pike you got to have showings in order to sell it. Depending on the seller, this can be easy or challenging. If the house is vacant then the showings are easy. If the owner is living in the house then it can be more challenging. In order to show a house a Realtor must get permission. If they don’t and show a house they are trespassing. Over the past 30 years the evolution of showings has changed drastically with the help of technology. Today it is done completely differently than in the past. Buyer wanted to see a house. Buyers Realtor would call listing brokerage office. 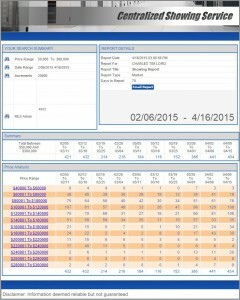 Listing brokerage would set the showing up. Buyers Realtor would arrange to pick up the keys at listing brokerage office. Buyers Realtor shows the houses. Buyers Realtor returns all the keys to all the offices. Listing Realtor might call the buyers Realtor after the fact and try and get feedback info for the seller. A simple device where most brokerages had the special key to unlock it. 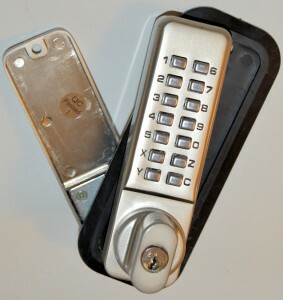 This saved Realtor’s from having to run around town collecting key for houses to show. Now the Realtor did not have to worry about keys in order to get into the lock box. They just had to call the listing brokerage, identify themselves, get the ok to show and get the combo for the lock box. 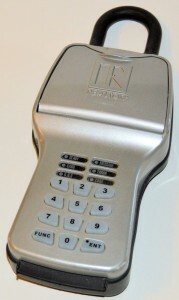 Some of these new lock boxes can be opened by a Realtor’s smartphone if programmed. 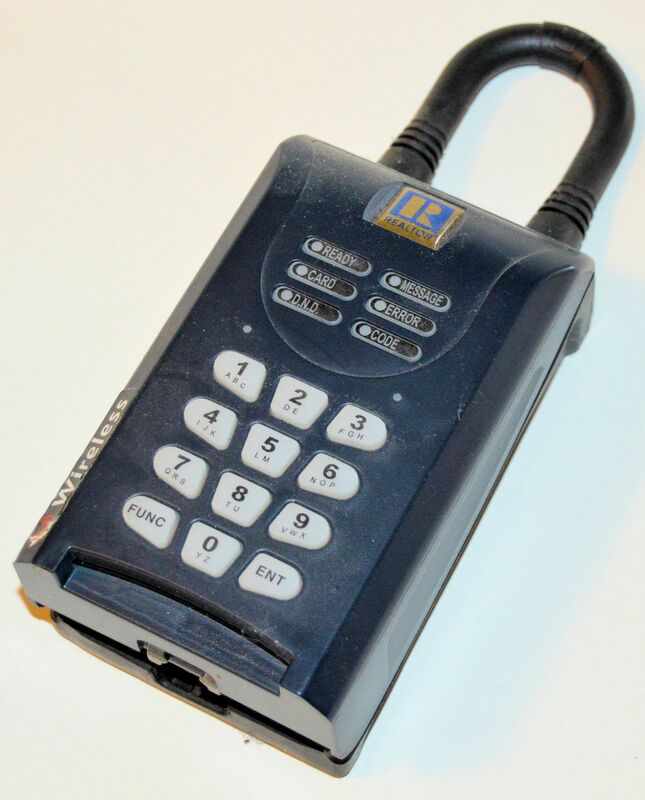 Otherwise the credit card like card can open these locks with a programmed security code. Two great features of these locks are that the entry cards have to be renewed on very regular basis or they won’t work anymore. The other nice feature is that the lock box records who has opened it. That is a great security feature for sellers. As with any free market when there is a need, somebody will figure out how to fill it. Brokerages did not want to handle showings. It is to time consuming and labor intensive. Companies started appearing nationally that would handle all showings for a brokerage for a price. It was reasonable enough for large and small brokerages to use. Now the listing office can enter in all relevant information on a new listing and not have to worry about keys or keeping track of showings. Today 80 percent of listings in Pike Township use Centralized Showing Solutions (CSS) in order to make an appointment for a showing. Centralized Showing Solutions has taken the technology a long way. Buyers want to see a house. Buyers Realtor identifies themselves and security code is checked. CSS sets up the appointment and tells buyers agent how to get in (lock box type) and any other relevant instructions. Buyers agent get email from CSS asking for any feedback. Feedback is sent to listing agent and seller if programmed. 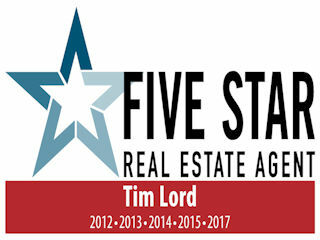 CSS’s website for Realtor’s keeps track of all showings and feedback historically. It also allows the listing Realtor to send an email to all agents that have shown the property in case there was a price reduction or some other significant change in the property. This really saves the Realtor a lot of time. 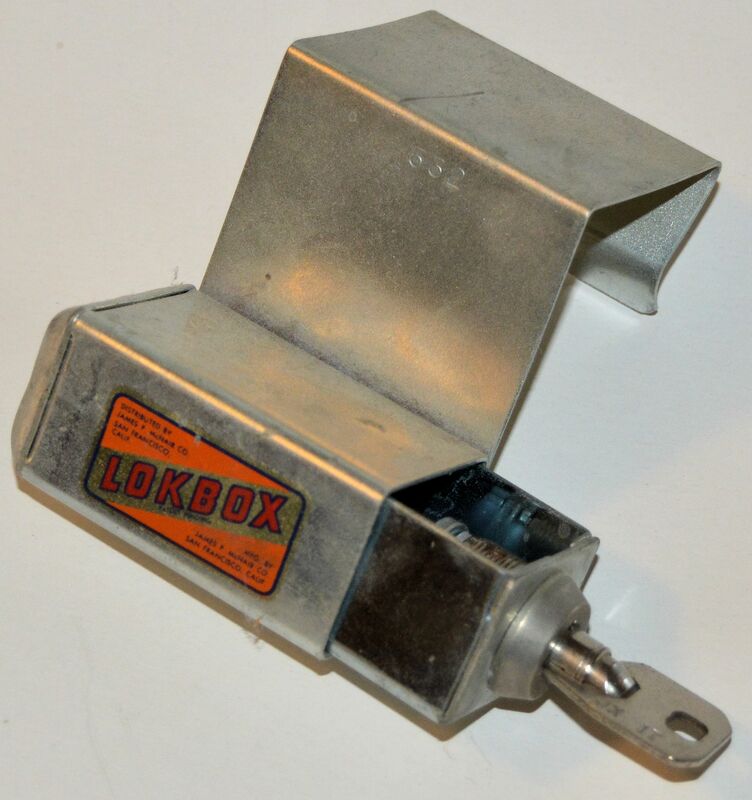 Last year I came across a new type of lock box. I have only seen it on bank owned listed houses. 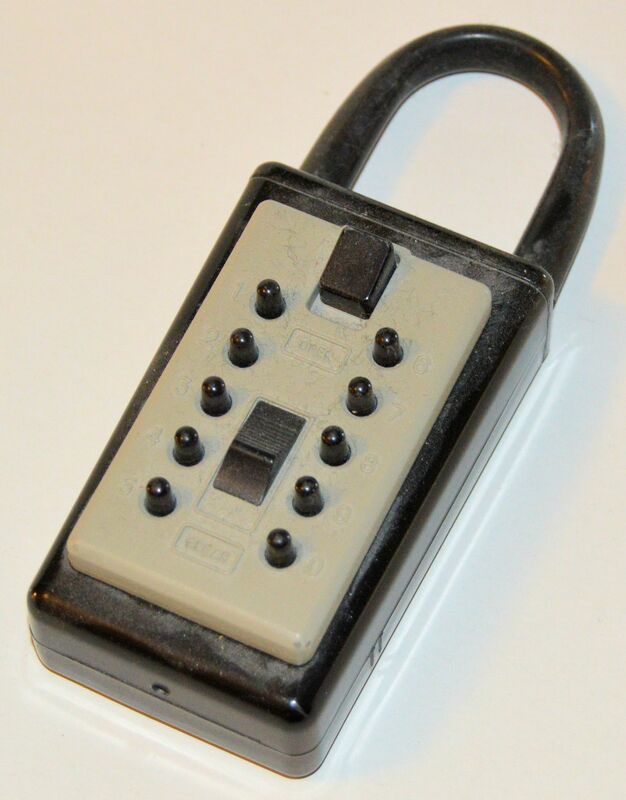 I had an investor last year that bought a house that had this kind of lock on it. At closing they told him the lock was his to keep. Actually I think he paid BIG for it. There was a $299 non-negotiable fee that he had to pay to do the deal. Best I can tell the lock was worth about $100. Banks try and get any kind of money any way they can. Which Way Will Pike Sales Go This Year? 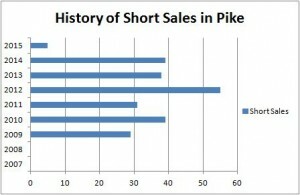 I love doing research on Pike Sales. I have followed and looked for patterns for the past 10 years. If you look at the chart closely you will see that Pike Sales take off at the beginning of the year and peak by June or July. The standard theory is that buyers don’t want to move during the school year and disrupt their kids. Usually the time to move is during the summer. From the time a buyer signs a purchase agreement until the time they close the deal is between 30 and 45 days. This puts the buyers who found their house in April closing in May or June about the time school is out. There is a secondary peak in sales although not as great usually in August, September and October. The ten year chart gets pretty messy. Here is a chart that covers 2013 through now. In 2014 we ended December with a up note. It carried through to January of 2015 beating out the past two years. February pulled back to match February of 2014. My guess is that February 2014 was slow because of the snow. I imagine the same for 2015. Currently there is a high number of Pendings in Pike. That means we are likely to see sales go up in April and May. I have noticed an increase in showings in the past two weeks with my listings. Talking to other agents I hear the same thing. I will be watching. My next posting will be about showings in Pike. 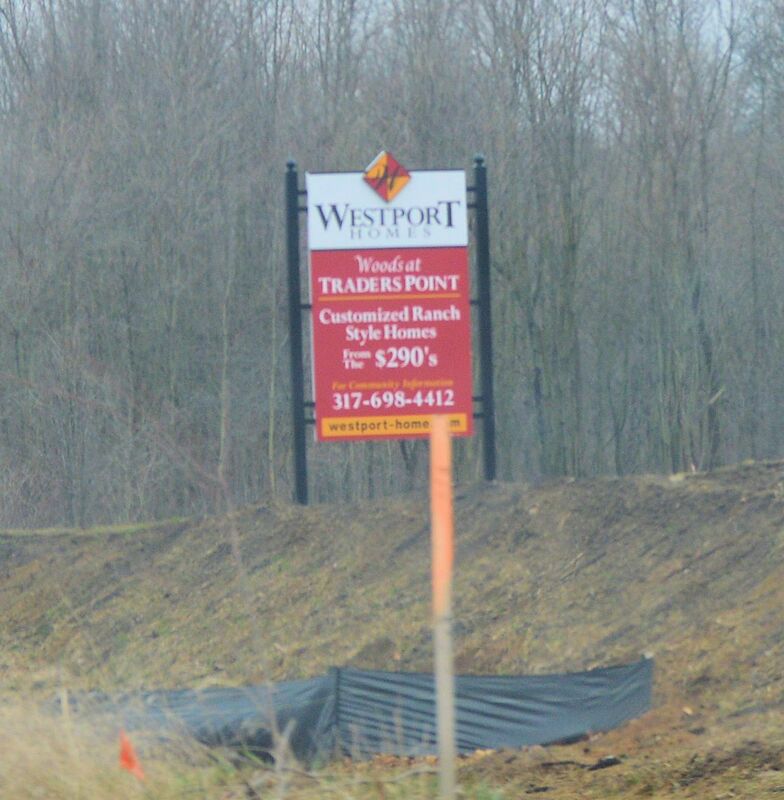 There is a new housing development in the works called Woods of Traders Point. It is located just north of 71st Street and Marsh Road on the west side of the street. The utilities and the roads have been in the works for the past few months. At this point the roads and curbs are in and lots are ready for sale. I drove through the development yesterday. 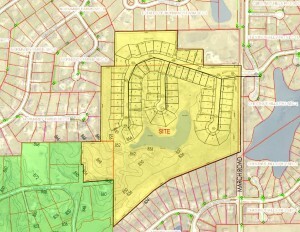 The community will have 70 lots, some of which currently have “sold” signs on them. Experience tells me that this may not be the case. A lot of time developers and builders put “sold” signs up in advance to attract attention. No houses have been started…yet. I talked to the developer last year. He told me that the price point would be between $250,000 and $350,000. He predicted that they would sell out in two years. I would love to see that but the math does not add up. At the time the price point was only 7 percent of the market in Pike Township. I predicted 4 years and probably longer. I based it on Timberview, a development that is about at the same price point at 46th and Raceway. It was started in 2006 and is about 80 percent done. 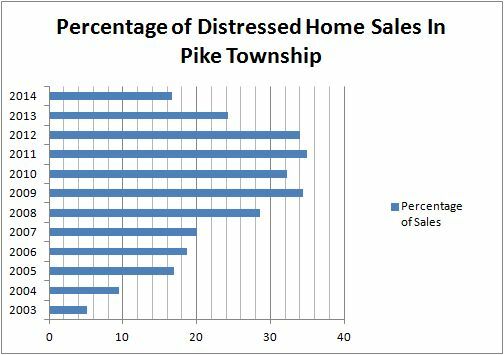 About 80 percent of houses sold in Pike Township are under $150,000. Only 20 percent of houses sold are above $150,000. That means if you are selling a house above $150,000 you have lost 80 percent of your buyers. Now I will give you that brand new houses attract more buyers and the location of Woods of Traders Point is good BUT I noticed the following sign on the development yesterday. Now the price point starts in the 290’s. So, if I say that now their price point is between $300,000 and $350,000 we are now talking about only about 2 percent (21 of 1084) of the market in Pike Township. 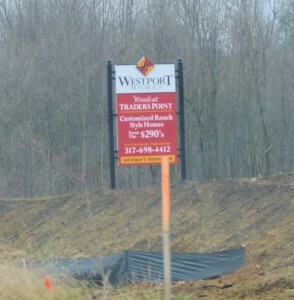 Although I knew Westport was going to be the builder, they are not a “name brand” builder. The local Westport salesperson did not know that Westport had built in Pike 15 years ago. He thought this was their first development in Pike. Westport built homes in Robertson Village at 41st and Guion Road. Their signs were there for years. For the most part these were starter homes. I was unaware that Westport built homes in the $300,000 price point. One thing that would help is if Westport has a model home. There was no indication that they would. 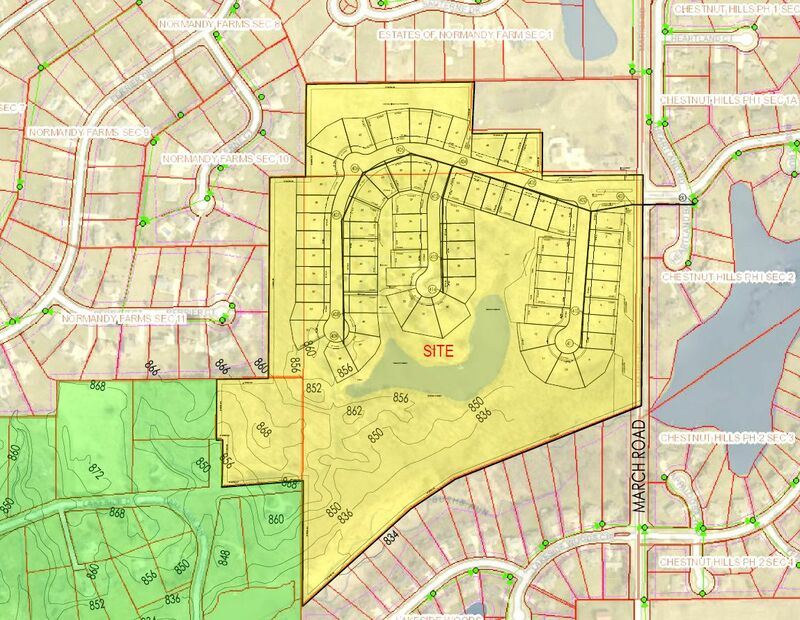 As much as I want to see this as a successful housing development for Pike Township, only time will tell. In 2002 when I first started in real estate I attended Tuesday morning sales meetings where the three broker/owners would teach agents the business. 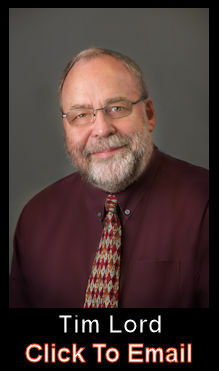 One Tuesday morning, one of the Brokers asked the following question; “What is a short sale?” An agent without hesitation answered “Any sales that Dave Short made.” Dave Short was and still is a LONG time agent with the company. There was laughter in the room. 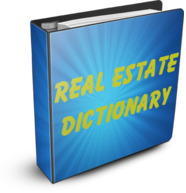 Definition: A short sale occurs when a property is sold and the lender agrees to accept a discounted payoff, meaning the lender will release the lien that is secured to the property upon receipt of less money than is actually owed. Example: If the unpaid balance of a loan is, say, $100,000 and a property sells for $90,000, under a short sale the lender might accept $90,000 as payment in full. Is it difficult to get a lender to let the seller do a short sale? Why would a lender not do a short sale? It is a matter of math. Suppose you owed the lender $100,000. If the lender takes the house through foreclosure, their costs to do so equal about 33 percent of the loan. 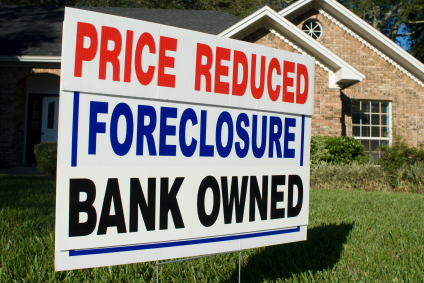 That means it would cost them about $33,000 to take it through foreclosure. If the property was sold for $90,000 through a short sale, the lender would only lose about $10,000. Now suppose the fair market value of the house was $60,000 and $100,000 was what was owed to the lender. In this case it would cost the lender less to foreclose on the property. What can happen during a short sale? Just about anything! How about the first lender in the middle of a negotiated buyer deal sells the property to another lender. It happened. We had to start all over again with the second lender. Because it took so long for the seller to redo the paperwork for the second lender, the buyer wanted out of the deal. How about when the lender said that all offers had to be 90 percent of appraised value or better and the buyer’s agent insisted that I send an offer to the lender which was about 86 percent of appraisal. I will never forget when the lender called me and gave me a verbal whipping. She almost pulled the plug on the whole short sale. Eventually the buyer made a better offer and the sale went through. Lenders are not easy to deal with. It is their money and if you don’t do things their way, look out. Why do short sales take so long? Short answer, lenders are under staffed. 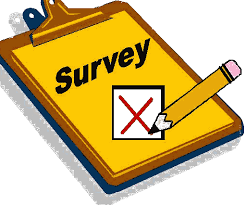 How many times have you walked into your bank and found a teller that you could do business with right away? My bank? I am always waiting in line. Same goes for their back office staff. Remember the robo signing ordeal? Another factor I see is that when a bank gets an offer on a short sale property, they may hold it for a month or two before they make a decision. They may think they will get a better offer. They don’t realize that the buyer will walk if they think the lender is stalling. There is an agent in our office whose short sale took 17 months to close. This is extreme. Fortunately the buyer stuck it out. Just like regular real estate sales, every transaction is different. There is no rhyme or reason to short sales. Is there a downside to short selling? If you owe a debt to someone else and they cancel or forgive that debt, the canceled amount may be taxable. From calendar year 2007 to 2014 the Mortgage Forgiveness Debt Relief Act forgave that debt and it was not taxable. Consult the person that does your taxes for an answer in your case. I am not a tax expert or accountant. 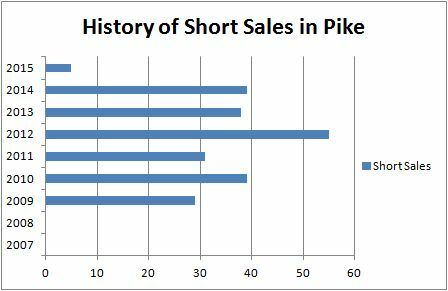 Asyou can see there were no short sales in Pike Township before 2009. Once the economy went south, lenders started allowing it. So far this year there are only 5. Disclosure ; The raw dollar figures above in the article do not include closing costs which can vary. Some of the above information came from MIBOR’s Broker Listing Cooperative which is deemed reliable but not guaranteed. I am not an attorney, appraiser, tax expert or accountant. I am just an experienced and good Realtor. Selling houses is all I do. One segment of my business is investors. Over the years I have dealt with a lot of investors and still do. Investors are looking for inexpensive housing that usually needs repairs and updates. They usually plan to flip (fix up and resale at a profit) or rent for a profit. The types of houses they are interested in I call distressed sales. My definition of distressed is bank owned, HUD owned, VA owned, foreclosed, short sales or bankruptcy homes. When I started in 2002 there were very few of these types of homes. Most of these type of homes needed lots of repairs that could cost anywhere from a few thousand dollars to over $20,000. It took a certain type of buyer that could pay cash for the home and fix it up. In many cases banks would not give loans on houses that were not immediately livable. At that time you could expect a 20 percent discount off market value for a distressed house listing. As you can see from the above chart, distressed sales climbed from about 5 percent in 2003 to about 35 percent in 2009. During this time there was a whole lot of new construction in Pike Township. You could get a new home with no money down and very low closing costs. The problem with new construction is that there are no property taxes the first year. Property taxes are usually included in the mortgage payment. By the second year property taxes get escrowed and make the mortgage payment s go up, sometimes as much as $200 a month. The homeowner can’t afford it and the home gets foreclosed on. At the same time during that period, banks would do mortgages with no money down and if the buyer was breathing, they could get a mortgage. This brought out tons of buyers. In many cases the finances of these buyers was questionable and they probably should not have bought homes. The peak of the Pike market was in 2005. By 2007 the economy took a turn for the worst and distressed housing skyrocketed. The market was flooded with distressed listings. Investors came out in droves. Prices dropped to sometimes 50 percent of what market value was in 2005. There was an extreme amount of flipping. At the same time non-distressed homeowners were losing all their homes equity because home values were dropping. In many cases they could not sell their homes and break even. 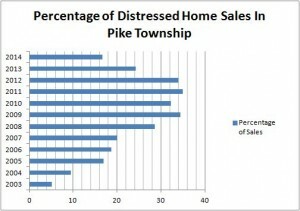 Total sales in Pike went from 1642 in 2005 to 884 in 2010. By 2010 there was a huge demand for rentals. Homeowners that had lost their homes during downturn could not buy new homes. They had to now rent until they could repair their credit which might take years. Real Estate Investment Trusts started coming into Indianapolis and buying 1000’s of homes. They were turning around and renting them. Even with strict guidelines about what they would buy based on return on investment, they bought many of the distressed homes on the market. They were not adverse to doing repairs and making the houses marketable to rent. In effect this took a lot of distressed homes off the market. At the same time it made a lot of homeowner associations pretty mad. They did not want rentals in their neighborhoods. This caused a lot of them to change their covenants to restrict rentals. From 2011 with a high of distressed homes at 35 percent of sales to 2014 we dropped to 16.6 percent of sales. We are now currently sitting at about the same rate as at the peak of the market in 2005. The big difference is that in 2005 a total of 1642 homes were sold. In 2014 a total of 1083 homes were sold. I believe it will be a slow climb back to the sales level of 2005. Bottom line…it is harder and harder for me to find good homes for my investors. Yes, there are still distressed homes out there BUT the return on investment is getting squeezed. In the past when it was easy to get a reasonable profit on a house flip, now the numbers are getting harder and harder to work. With less distressed housing on the market the prices are getting higher and firming up. More and more when one of my investors makes an offer on a distressed house, there are multiple offers at the same time. If I don’t get my investors to the house the first day it is listed and make an offer, it will be sold quickly to another investor. That is why I review all new listings in Pike Township first thing every morning. Today: 1 hits & 1 unique visitors.